The Korowai people are the perfect tribe, because they are uncontaminated. The first contact dates back to 1974, when about thirty natives where accosted by a team of anthropologists; it is assumed that until then the Korowai people were unaware of the existence of other populations beyond themselves. A few years later, the missionaries arrived to try and convert them. The Korowai people are the perfect tribe, because they live in an exotic way. 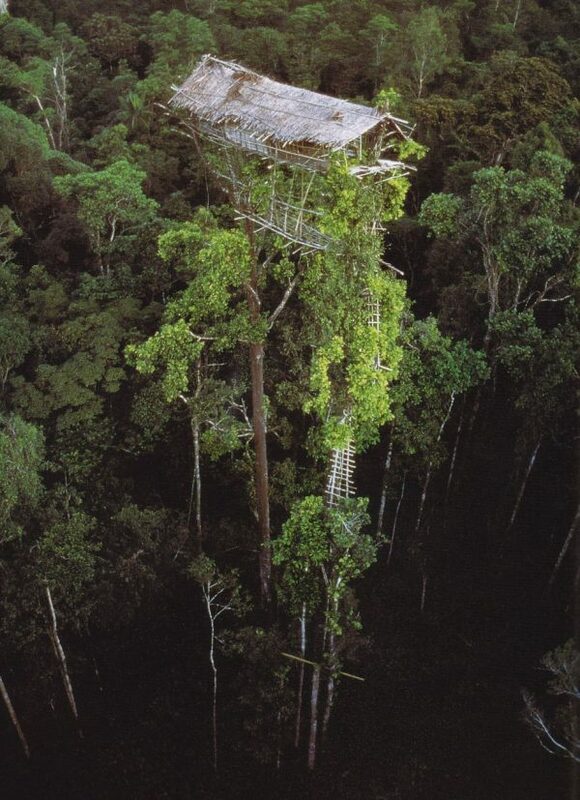 Hidden in a forest’s corner in one of the most secluded countries—the isle of New Guinea—they build stilt houses on top of the trees. In this way they protect against insects, snakes, boars and enemies from other tribes. Over the years, their engineering skills have been shown in several documentaries: in 2011 an episode of Human Planet, produced by the BBC, detailed the construction of a house at the vertiginous height of 40 metres above the ground, and the move of a family to this new incredible dwelling. The Korowai people are the perfect tribe, because they are cannibals. They do not eat their enemies nor are into indiscriminate endocannibalism: they kill and devour only those who practice black magic. When these people get an unknown disease, before dying they usually mention the name of the khakhua, the male witch who cast the curse on them. Then the relatives of the dead person capture the necromancer and chop him into pieces, distributing his meat among the village families. In 2006 Paul Raffaele, an Australian adventure reporter and television personality, went among the Korowai people to save a little boy who was about to be cannibalized. The episode of 60 Minutes in which he recounted his expedition was watched by an extremely large audience. The intrepid reporter also wrote a report entitled “Sleeping With The Cannibals” for the prestigious Smithsonian Magazine; this article remains very popular to this day. The Korowai people are the perfect tribe, because we still need the myth of the Savage. We like to think that “out of time” tribes exist, crystallized in a prehistoric phase without experiencing any evolution or social transformation. This fable reassures us about our superiority, about our extraordinary capacity for progress. This is why we prefer the Savage to be naked, primitive, rude, or even animal-like, namely characterized by all those features we have abandoned. Let us take the example of the tsantsa, the famous shrunken heads of the indios Shuar – Jibaros settled between Ecuador and Peru: before the arrival of white men, the natives sporadically produced very few of them. But Western explorers saw the tsantsa as the perfect macabre souvenir, and above all the emblem of the “primitive barbarity” of these tribes. It was only because of the growing demand for these artefacts that the Shuar and Achuar tribes started to organize raids among the neighbouring populations in order to stock up new heads, to shrunken and sell to white man in exchange for rifles. When visiting museums of anthropology, only a few people realize that sometimes they are not at all looking at the artefacts from an ancient and faraway culture: they are admiring a fantasy, the idea of that culture created and built by Western people for themselves. And what about the Korowai people, who live perched on trees like Tarzan? 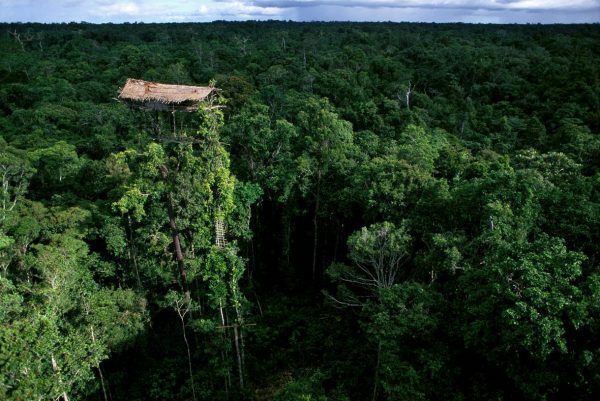 In April this year, the BBC admitted that the house in the tree 40 metres above the ground, shown in the 2011 episode of Human Planet, was a fake. Namely it was a sequence agreed upon with the natives, who were charged by the television crew of building a giant stilt house—which normally they wouldn’t have normally ever built. 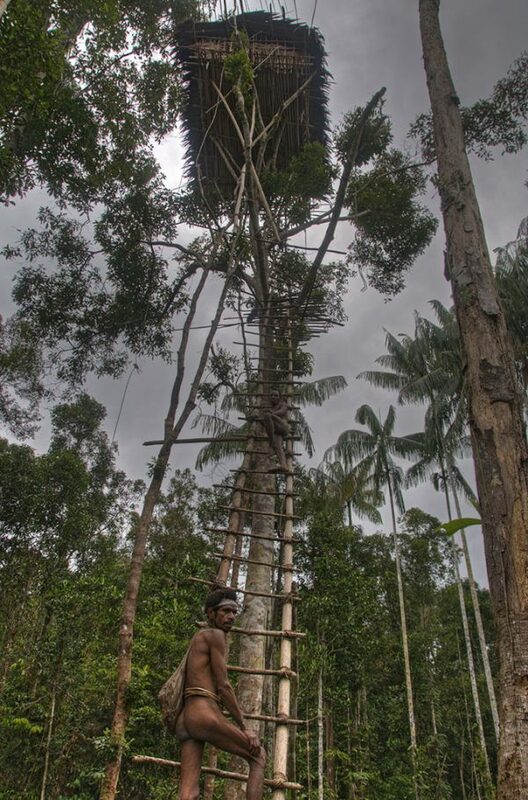 A member of the tribe declared that the house had been built “for the benefit of the producers of television shows overseas”: the traditional Korowai dwellings actually reached a maximum height of 5-10 metres above the ground. And the feasts with human meat? Cannibalism as well hasn’t actually been practiced for countless decades. “Most of these groups have a ten-year experience in providing these stories [of cannibalism] to tourists” declared anthropologist Chris Ballard of the Australian National University. Their life now depends on Western people driven to the jungle by their search for strong emotions. The Korowai people have learnt to give them what they want. And if white people still need the Savage, here they are. Explorer of the uncanny, the macabre, the strange and the wonderful. 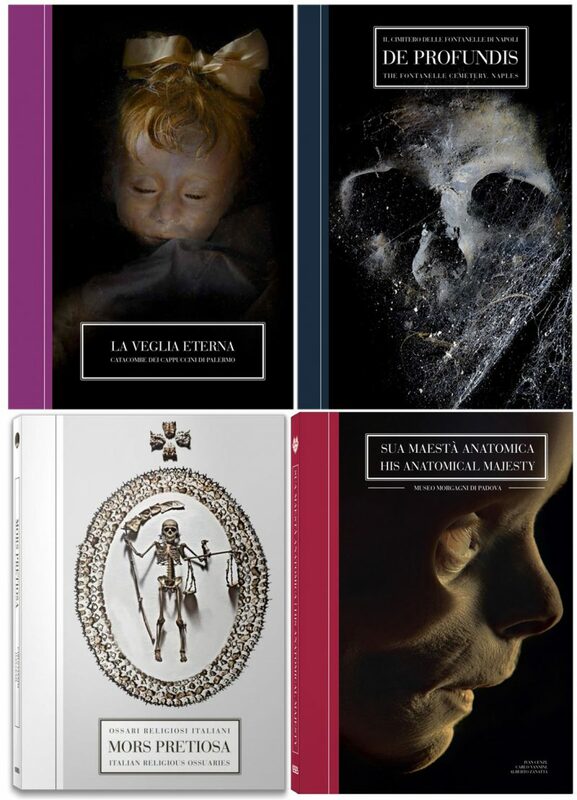 Click to see all the books by Ivan Cenzi of Bizzarro Bazar. Subscribe to this blog to get an email notification whenever a new article is posted. Bizzarro Bazar is, and will remain, ad-free. In order to keep this blog alive, aside from the time invested in studying and writing, I face considerable maintenance expenses. If you enjoy my work you can donate through PayPal: all the donations will be strictly used in connection to the blog’s activities, such as bibliographical research, website maintenance and management, etc. 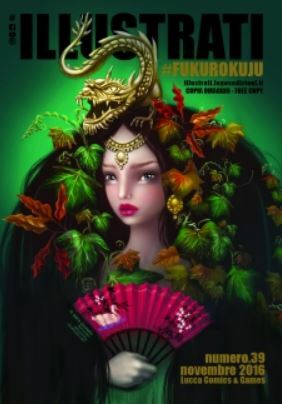 Bizzarro Bazar has a column on Illustrati magazine, featuring original articles which do not appear on this blog. Bizzarro Bazar is twinned with Mariano Tomatis' Blog of Wonders, a space devoted to Astonishment and Marvel. 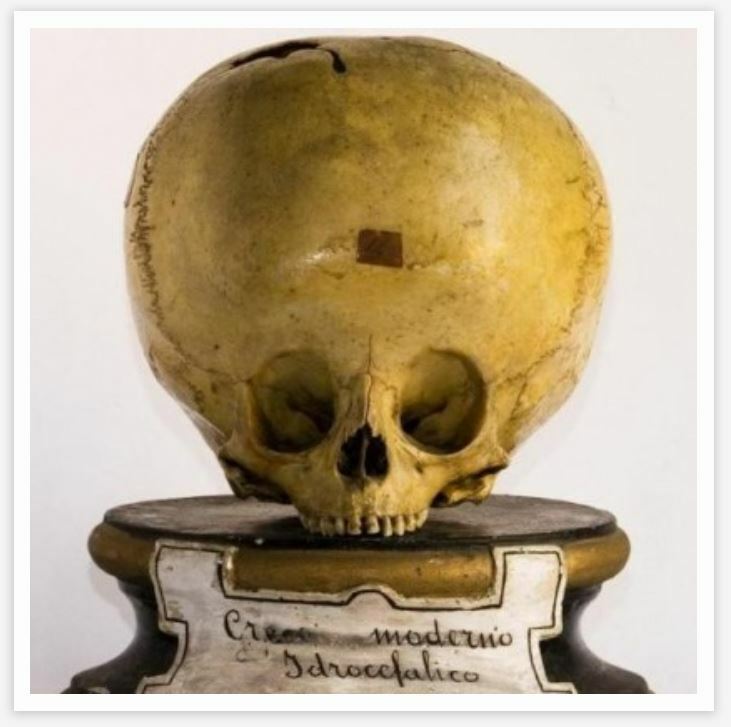 In 2016 Bizzarro Bazar coordinated the Academy of Enchantment in Rome: events and meetings with scientists, scholars, historians and artists who devoted their lives to the most bizarre and mysterious corners of reality. Want to suggest a topic or submit an interesting link? Or actively collaborate in writing articles for Bizzarro Bazar? Or would you just like to exchange a few words?